With MegaMillions heading for a potential record-breaking jackpot, thoughts have turned to the biggest lottos and jackpots. What's the biggest lottery in the world? What's the biggest lotto win ever in Australia? What's the biggest win ever in the world? What's the most ever won on EuroMillions? Presenting the Lottoland Book Of World Records – where we answer all these questions and more! There's been quite a lot of talk about record jackpots recently. Over the winter we were celebrating a Guinness Worlds Record achievement for the biggest online gambling payout when one of our Lottolanders won that amazing €90 million (AUD$137M) from her EuroJackpot bet. 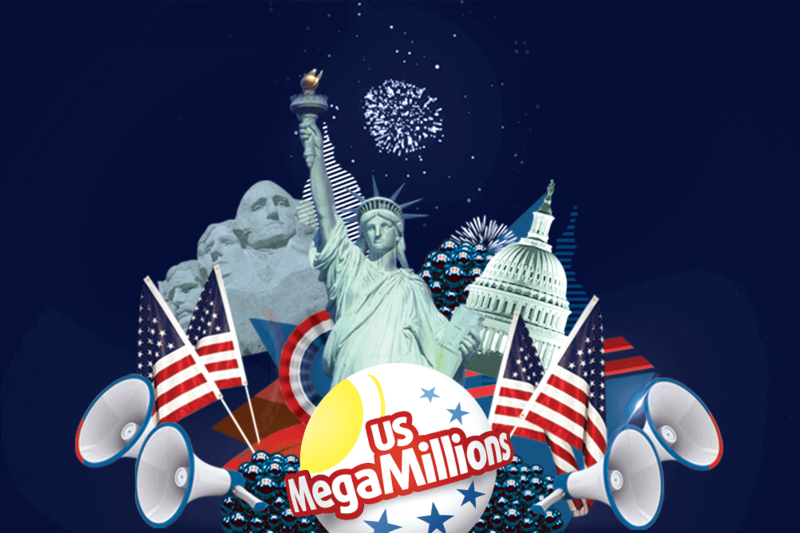 US Power rules the roost in terms of the biggest jackpot paid out overall but the current MegaMillions jackpot of $301 million* is certainly making people sit up and take notice as it is currently the second biggest MegaMillions jackpot of all time. While US Power is in the record books as having paid the largest jackpot of all time, it's still not the biggest lottery in the world. US Power's record-breaking jackpot was worth AUD$2.1 billion, and even though this is a staggering amount it is still a considerable amount less than the amount paid out in prizes by the Spanish Christmas Lottery, a.k.a. "El Gordo", which regularly boasts an overall prize pool of AUD$3 billion. The difference is that El Gordo shares that prize fund around much more equitably, so nobody will take home a single jackpot prize to rival that of US Power. But could US Power or MegaMillions ever unseat El Gordo to take the title of "Biggest Lotto in the World?" There is still a long way to go for either of those lottos to reach the magical AUD$3 Billion mark, but never say never! In the race for the biggest ever lottery jackpot US Power is safely in first place as the undisputed lottery jackpot heavyweight. This means that the previous title-holder, MegaMillions, has had to be content with third place since August 2017, when another giant jackpot win of $758 million meant US Power now claims the top two spots. However, with this new MegaMillions jackpot looking like potentially beating the previous record, there is no telling how long this state of affairs will last. *US Power and MegaMillions Tiers 1-3 are subject to 38% reduction as per T&C's. Tier 1 winning bets are paid out as a 30 year annuity or discounted lump sum at Lottoland's election. Not only has US Power given us the biggest lotto jackpot in the world, it's also given us the biggest ever lotto win by one person. In August 2017 US Power also won the record for the largest lotto amount ever won by one individual when 53-year-old Mavis Wanczyk claimed the full jackpot worth $759 million, which at current exchange rates works out at around £577 million.